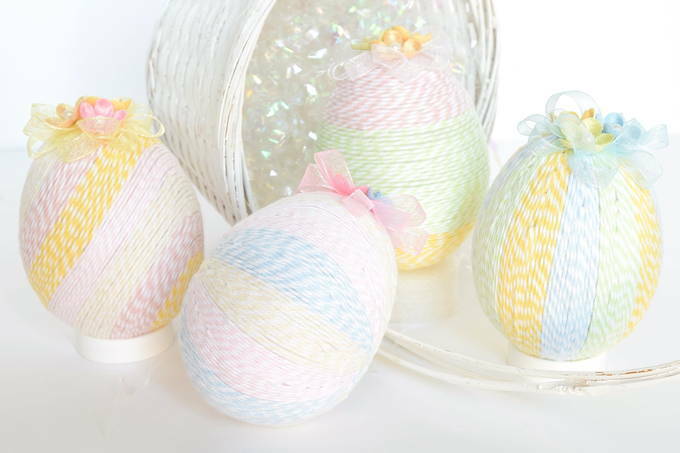 These sweet eggs are colorful, beautiful, and delicate. They add a touch of spring to your home. And you can make them using simple materials. At our house, they decorate our fireplace mantel. As I made them, I discovered different ways to wrap them. 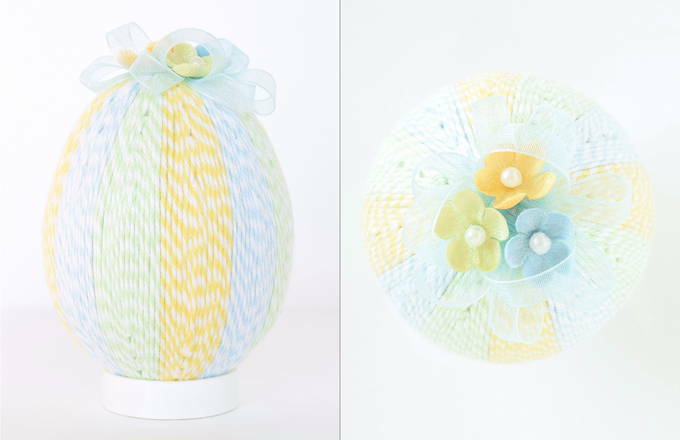 For my eggs, a pastel colored twine was wrapped around the Styrofoam egg. But they can be made using yarn or embroidery floss. 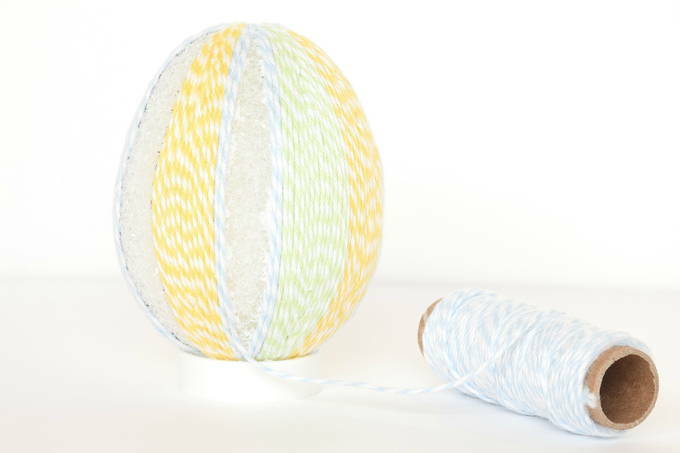 A satin embroidery floss would be especially pretty. You can use flower sequins too. Here’s what you need to make them. If you prefer, you could use strong bright colors. Also, you can use a larger egg. This allows for even more color changes along the sides. In the directions I explain how to wrap them and then finish them off with bows and flowers. I loved giving them that final sweet touch on top. 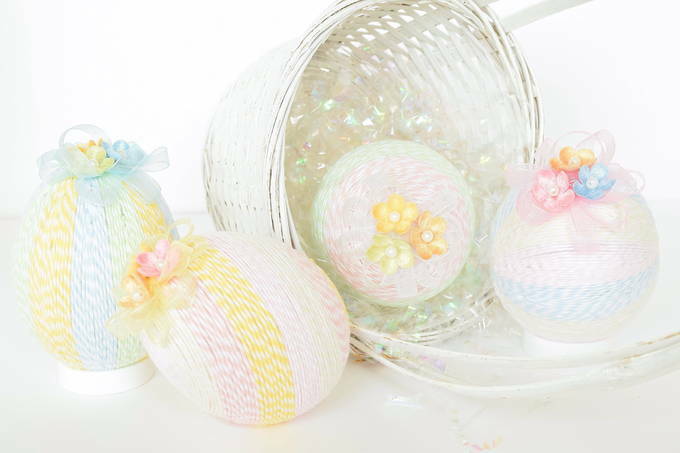 I plan to use bolder colors to make an egg for each of my children. They’ll be happy to see that I used their favorite colors. These eggs would be nice gifts tucked in an Easter basket too. 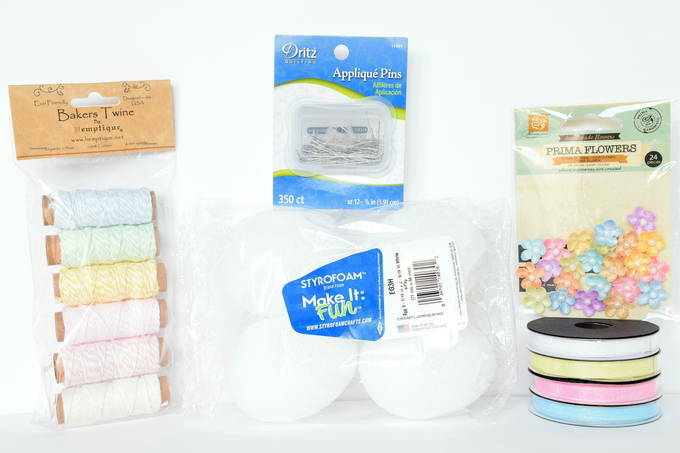 Have fun making your sweet spring eggs!